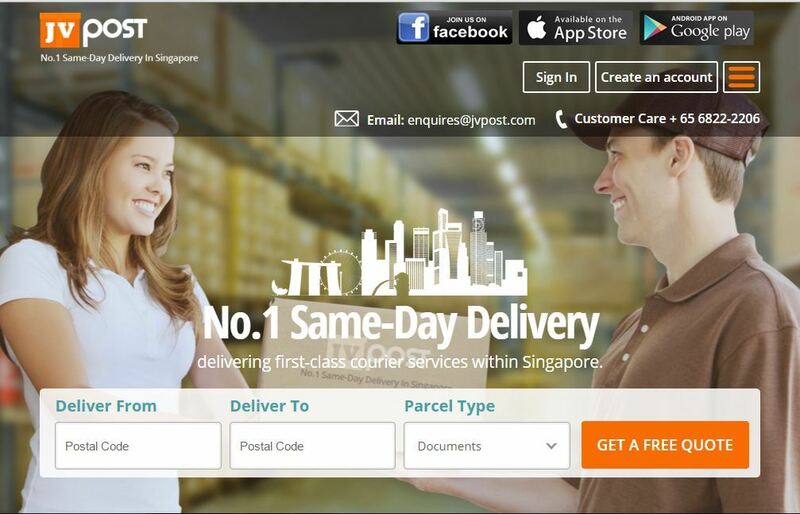 JV Post is a “Package Deliver Service” mobile application and website that will facilitate customers to place the request for pick & delivery the package over the application by specifying their pickup/drop of location over the website or iphone/android app. They will be able to add their package type, address details, time of delivery and select a type of desired service. They can make payment for their select services over the website or iphone/android app by making payment via visa, master, PayPal integrated over the website or iphone/android app. Customers request will be automatically appear on main driver page where all registered drivers can see, for drivers who want to accept the job request. If the driver accepts the request then customer will be notified about the time and vehicle number and driver detail such as name and phone number. JV Post choose LogicSpice for its ability to develop for complex websites, and the first JV Post website version was released in the March of 2014. To date JV Post has released another version to this website by adding some new features to this website. The motto of proposed app solution is that customers can search for the drivers who can pick up the package and then can deliver to the respective location. Customers will be able to place the request by providing respective details and then paying respective amount through payment gateway integrated over website or applications and then drivers will be able to see the jobs and then can accept it and then can complete it. LogicSpice continues to provide expertise and services in support of JV Post ongoing program of website development.